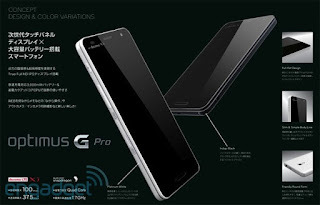 18/01/2013: Samsung Galaxy Xcover II and the LG Optimus G Pro leaked! Rumours of GAME buying out HMV and much more! 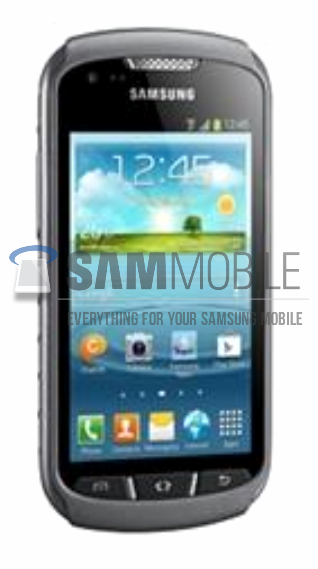 Samsung's Galaxy Xcover II leaked! Dimension: 130.5×67.7×11.9mm , 148 gram. Now this isn't going to be a high end device, but with extra durability and reasonable specs this should prove to be right up some people's streets! What do you think? Let us know in the comments below! 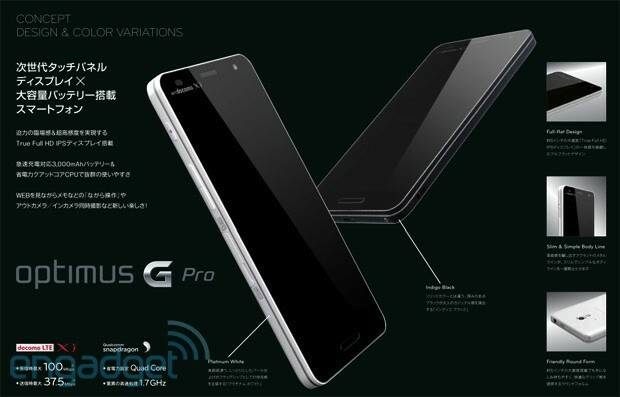 LG's Optimus G Pro leaks as well! This will certainly be a flagship device and it will have a couple of extra NTT DoCoMo specific features such as One-Seg and NOTTV support. With a bit of luck this will have a cousin which will arrive in the United States and Europe, but we'll have to wait for MWC to find out about that! Asus UK's store now has the music dock for the Nexus 7 available! The dock can be yours for £24.99 (plus £6.00 shipping), only thing is that the dock will be with you within 14 days of your order, so we're not entirely sure if this is pre-order because the product will only display if you directly search for it on the site, no explicit link is available so this one may have been let out of the bag a bit early! You can order the dock here, but we'd recommend waiting until this is officially available just to be safe! Sharp has “nearly halted” production of 9.7 inch displays for Apple's iPad, supposedly the result of people choosing Apple's iPad Mini instead of the full version of the iPad. Reuters has cited “industry sources with knowledge of Sharp's production plans,” as they describe how Sharp has decreased production of 9.7in screens at its Kameyama, Japan plant to the lowest possible level. The Samsung Galaxy S4 has supposedly been spotted in some AnTuTu benchmarks. The model numbers SHV-E300S and GT-I9500 have both been spotted and a few of the benchmarks have noted that there is Android 4.2.1 Jelly Bean running on a 1.8Ghz Exynos 5 Octa-core processor! LG has announced that their Optimus G handset has shipped one million units! Now that might not sound like much but the phone hasn't landed in either China or Europe yet so that's not bad going! ABI Research have published some findings about Apple's projected performance over the next few years. In line with most estimates, they predicted that the company’s market share will plateau this year and will reportedly remain flat in the next 5 years! We already know Sony is aiming for the high-end smartphone market to save their company. Sony CEO, Hirai said, “We are more in toward the high end of the market as opposed to trying to get into the commoditized portion” where Sony’s phone unit operating loss remains huge. We see where Sony is trying to go, but they face very stiff competition from Samsung and Apple if they want to go for the top end of the mobile market. 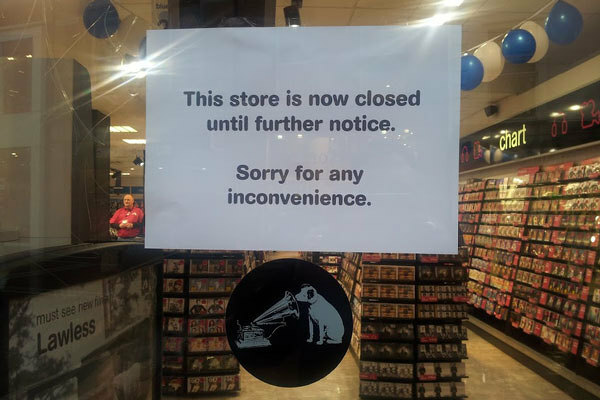 And finally, HMV may well have a very unlikely buyer coming to the fore. That buyer was one of the first companies to feel the squeeze on the high street and that was GAME. GAME boss, Martyn Gibbs, expressed his interest in buying a limited number of stores, but he didn't offer anything concrete. There is currently 40 HMV branches where there is no GAME stores so these places could well double up as the best of both stores! We'll have to wait and see how this plays out!